TUESDAY, Dec. 4, 2018 (HealthDay News) -- For very elderly patients undergoing acute-care hospitalization, an exercise intervention is associated with benefits in reversing functional decline associated with hospitalization, according to a study published online Nov. 12 in JAMA Internal Medicine. Nicholás Martínez-Velilla, M.D., Ph.D., from the Complejo Hospitalario de Navarra in Pamplona, Spain, and colleagues examined the effects of an innovative multicomponent exercise intervention on the functional status of 370 very elderly patients undergoing acute-care hospitalization. Participants were randomly assigned to an exercise intervention or control intervention. The researchers did not observe any adverse effects associated with the intervention. Significant benefits were seen for the exercise intervention program versus usual care. The exercise group showed a mean increase of 2.2 points on the Short Physical Performance Battery (SPPB) scale and 6.9 points on the Barthel Index over the usual-care group at discharge. Impairment in functional capacity was seen with hospitalization in the usual-care group (mean change from baseline to discharge: −5.0 points on the Barthel Index), while the trend was reversed with exercise (1.9 points); the SPPB score was also improved with the intervention (2.4 versus 0.2 points). There were also significant intervention benefits at the cognitive level (1.8 points) over usual care. 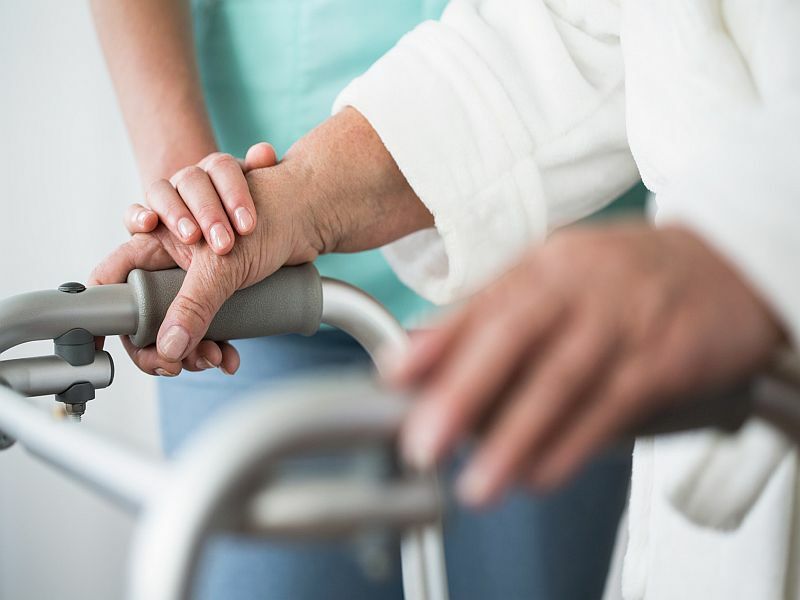 "Our data, together with those of previous research, suggest that interventions beyond walking stimulation are needed to preserve functional capacity in older patients during acute hospitalization," the authors write.